I wanted to leave this story for some other day and write about another Hindu temple that I planned to visit today. But the weather is terrible so I guess I'll stay home.. The weather is the only flaw of this country definitely. 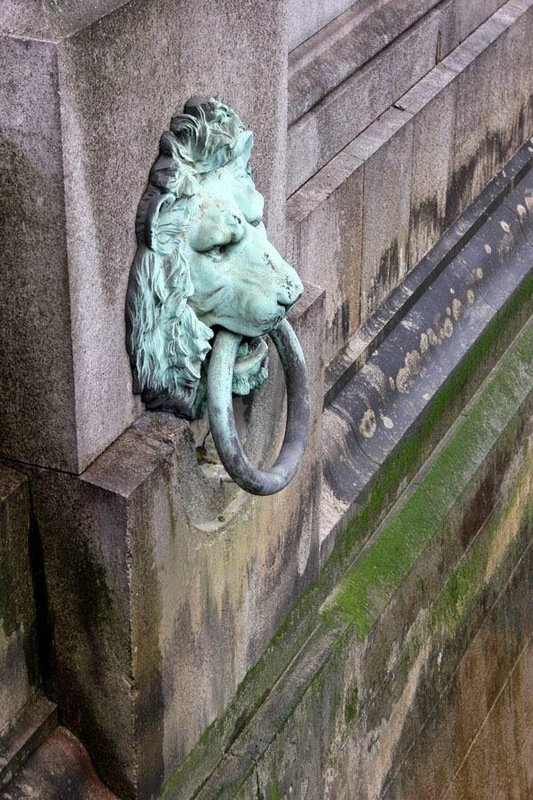 The same day I took a walk and saw "The Lion Heads" I was actually on the way to find the last gas lamp of London. 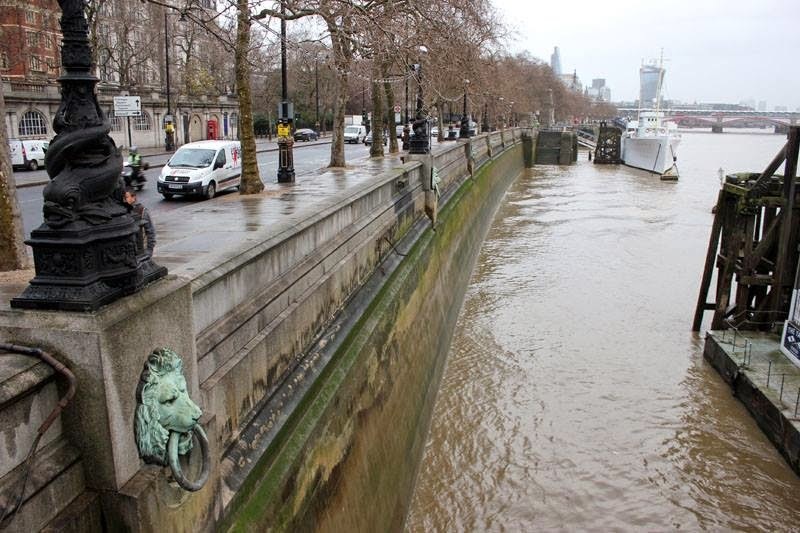 Embankment tube stop, hot latte in my hand, an umbrella, camera.. I was walking towards "Temple", next to the river trying to find "Savoy" hotel. Just behind the hotel I should find the lamp. It was easy. I found it imminently. Many of these lamps were installed in the UK in towns and cities such as Sheffield and Blyth, and they are still there, but only one remain in the capital. The main purpose of sewer gas destructor lamps is to remove sewer gases and their hazards. Joseph Edmund Webb of Birmingham patented a sewer gas destructor lamp in the late 19th century. 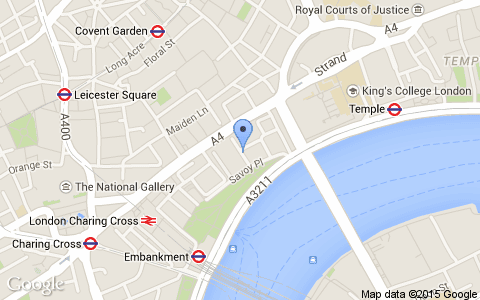 Location: Carting Lane (leading from The Strand to Savoy Place), Westminster, WC2R. Tube station: Charing Cross, Embankment or Temple. How many people daily pass through the square? Many. 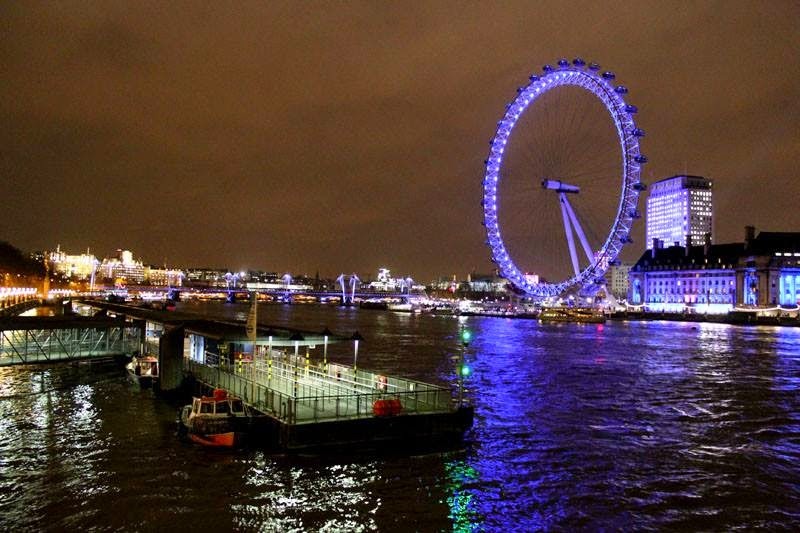 No matter if they are tourists, real Londoners, students, British, Americans, German... But just few of them knows that the World's smallest police station stands there. 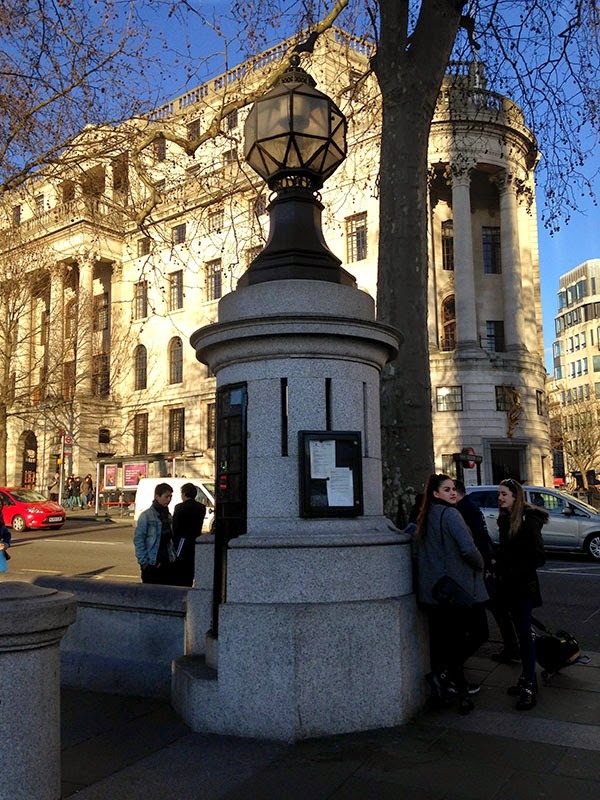 So, this smallest UK police box stands on south-east corner of Trafalgar Square. Sometimes is routinely ignored by the masses 'cause it does not look so representative like all sculptures and monuments on the square. And tourists that comes here don't know about it, 'cause honestly, it does not look like police station at all but more like lamp. The truth is it was originally an ornamental light fitting, built in 1826. Scotland Yard had it hollowed out and adapted for police purposes in 1926, with the addition of electric lighting and a telephone. This was the year of the general strike in Britain and Trafalgar Square was and still is, the place for disenfranchised citizens to congregate and have a grumble. Equipped with a telephone (connected to a main police station) and just enough space to swing a truncheon, it had room for one officer to watch over marches, demonstrations and riots in the square. Today, it's used to store street cleaning equipment. So, next time you come here, make sure you don't miss it. Location: Smallest Police Station, Trafalgar Square, Opposite South Africa House, post code: WC2N 5DP. Is this the World's Smallest Police Station?? Still unclear to me. Later on, after many online "researches" I found that there is another one in USA (Carrabelle, Florida). I remember one month ago, I was waiting a bus at Wembley central station and googling where is the closest ticket office while on my map suddenly saw pin of Hindu temple. Immediately I opened the picture of the temple and lost my breath for a second. What I saw was beyond beauty. And it was just 500meters of bus stop, in the area of Alperton. I was already in the bus, half way home and the day was turning into dusk so I said to myself what would be the best is to visit the temple some other day. To be honest, I was not surprised at all why the temple is built here, in London knowing that many Indian - Asian people live here, specially in Wembley. *The temple welcomes visitors of all faiths and none, although certain Hindu customs - such as removal of the shoes upon entry are expected to be adhered to during your visit. *Famous spiritual leaders and forms of Gods from other religions are also featured in the carvings, such as Mother Teresa, Meerabai, Guru Nanakdevji and many more showing the respect, love and compassion for all religions. 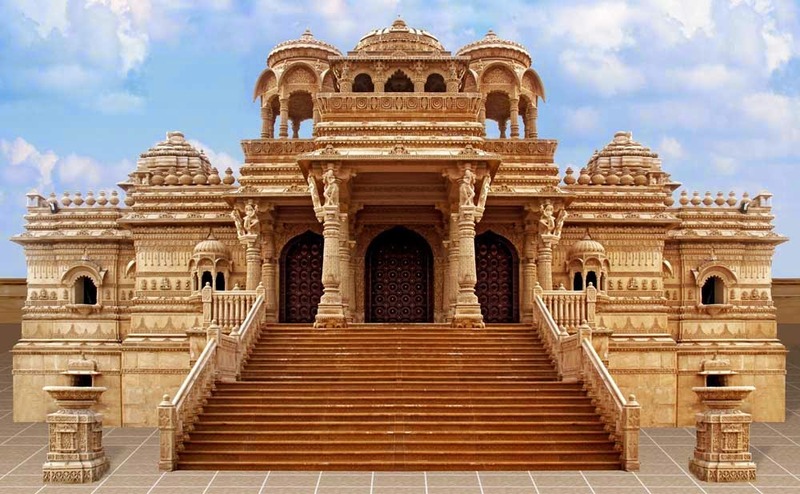 The architecture of Shri Vallabh Nidhi UK presents an epitome of mystical scales and proportions along with the heavenly carving which turns the structure into a magnificent celestial body. 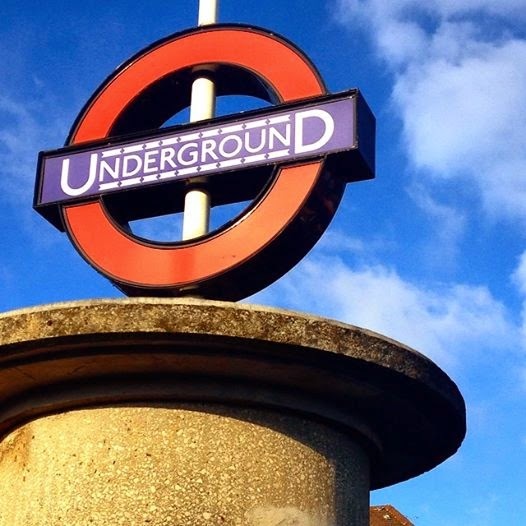 Being located on 2.4 acres of land in the centre of the well known shopping area on the Ealing Road, Wembley; the temple plays the role of a place of deep relaxation and is visited by thousands each year. The temple exhibits intricate forms of carving and moulds which are made up of various types of stones. The royal range of stones involve the ochre coloured stone from Jaisalmair which imparts a traditional Indian touch to the spaces, Bansipahad and Makrana marble turns the space into a home of peace and vitality, while the majestic facade is decorated by Jaisalmer lime stone, all of which have been imported from India. The construction of the temple is based on the ancient Hindu Scriptures of the Shilpa Shastras that give guidance in dealing with buildings and sculpture techniques that have been followed in order to form a perfect masterpiece. The secrets stored in the age old scriptures are unfolded and the different spaces of the temple are imbibed with the perfect ambience, thus giving due respect to the different aspects of climatology and form, space and order. Intricate and detailed hand carved patterns on the stones have been developed from famous mythological incidences of Hindu scriptures, giving importance to legendary Hindu tales such as the Mahabharata, Ramayana, Shrimad Bhagvatam and many more. The vibrant aura reflected through the architecture of the temple takes the human being into a world of deep relaxation and introspection, where the person is drenched with positive and spiritual feelings and thoughts. The spaces are well appointed with beautiful murtis of deitie and wall shrined deities. Thus, showcasing the importance of respect, love and compassion for all religions and sampradays, making the temple dynamic and universal as well as promoting the message of Vasudev Kutumbakaum, a Hindu term to describe the world as one big family. The new Mandir was opened to the public on Monday 31st May 2010 . A ceremony called Pran Prathistha was held to “infuse the spirit of God into the statues” as part of the temple opening. Our walk felt like walking in urban streets of Sri Lanka or India. And Shri Sanatan temple is not the only Hindu temple in London. Keep following my posts to find out about the others. First thing I usually do in the morning before I get up from the bed is that I always move curtains to check the weather, if it's sunny or not. I am addicted to the sun. Cloudy wet and chilly picture showed up on this Saturday morning. I will quote what one of my cousin said and she is so right: "I was born in August for a reason. Not meant for this cold weather!". And by coincidence she was born same day as I.
I woke up my husband early and even now still feeling guilty 'cause he was djing till late last night. After the shower and breakfast we took a Piccadilly line to Green Park and from there Jubilee to Canary Wharf. 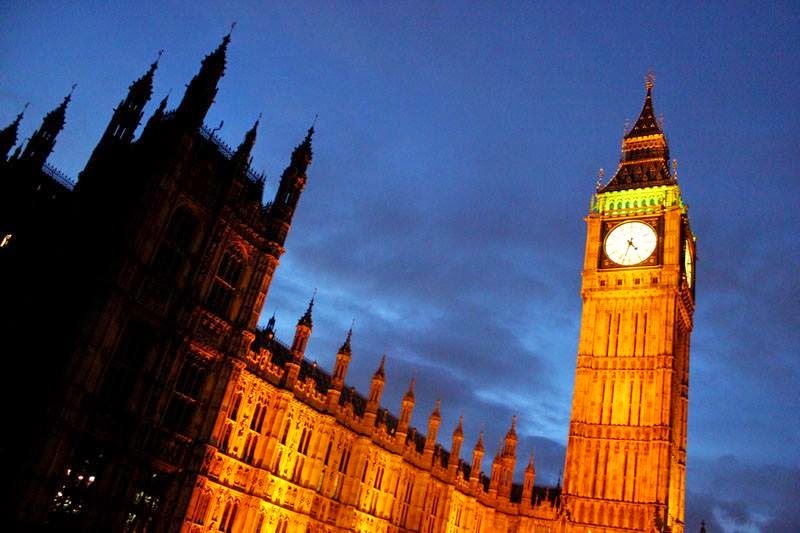 I promised that from today you will be meeting London's hidden jewels. So lets start randomly..
Canary Wharf is London's business and financial districts. All big banks, professional services and media organizations are here. Around 100 000 people works there. It's like Shanghai in Europe. This is a story about tree. 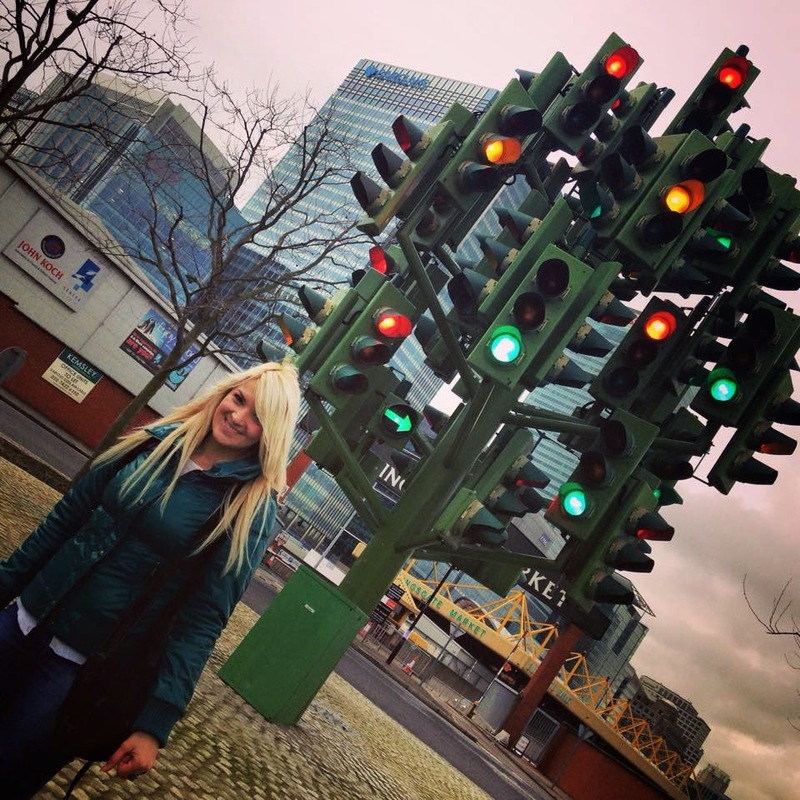 Not any tree but artistic, unique traffic light tree we discover today here. We found it on a center of one small ring road just across the entrance of Billingsgate market. The Traffic Light Tree was created by French artist Pierre Vivant. It is eight meters tall and containing 75 sets of lights, each controlled by computer. 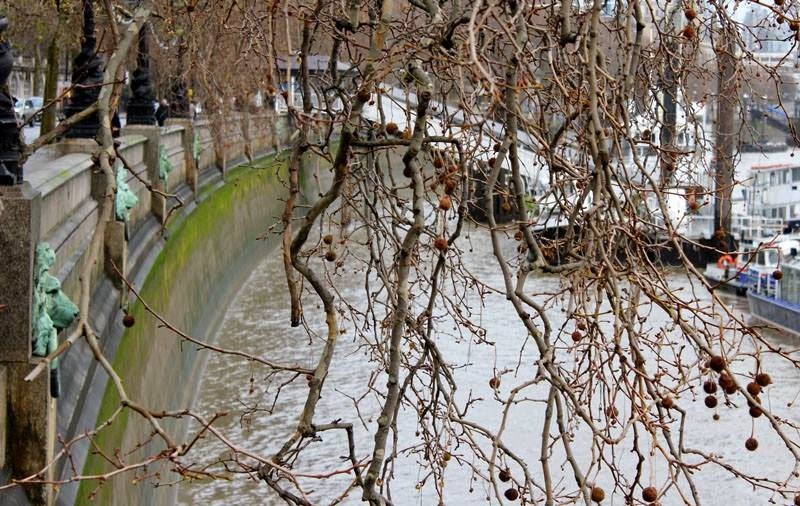 "The sculpture imitates the natural landscape of the adjacent London Plane Trees, while the changing pattern of the lights reveals and reflects the never ending rhythm of the surrounding domestic, financial and commercial activities." Viviant said. It was installed in 1998 on the other location and changed location few more time till 2013 where it is now. We enjoyed our day at busy urban area. It was not sunny but this piece of art colored our day with all 75 shinnig lights that was flashing constantly reminding us that London has its own colors. Start of December 2014 I spent in rush. Applying for UK visa once again, sorting out all details, booking flights and packing up. Moving to UK was not how I really imagined my future.. But, my husband is there and the opportunities are bigger and lighter than they are in Greece at the moment. Sun did not take me to some nice Mediterranean destination this time neither to some tropical coast of Asia. It took me to the capital of Europe if I can feel free to say. I am about to change my life completely. So here I am. Stuck in a city that slowly I am falling in love with. Every inch, very corner I simply adore and I will try, with all my heart to describe everything that this amazing city has to offer. In a further posts you can expect to meet some hidden, beautiful spots that this city hides. 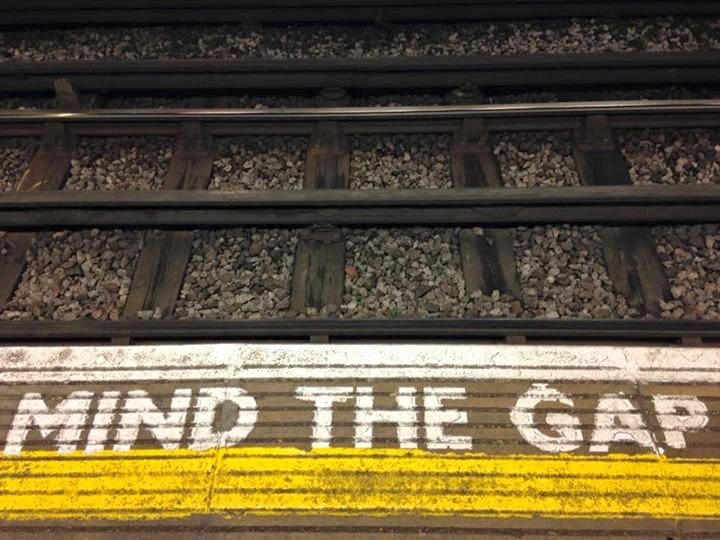 So, enjoy this ride and "mind the gap, please".